The Bii Hioxo Wind Farm covers 2,000 hectares of land, where 117 wind turbines produce a capacity of 234 MW generating 750 GWh per year. It is the largest wind farm in Mexico and the third-largest in Latin America. It began commercial operation in October 2014. On average, the wind farm avoids the emission of over 420,000 tonnes of carbon dioxide equivalent per year. Meeting its firm commitment to respect for human rights and specifically for traditional ways of life, Global Power Generation has consistently worked with the affected community —in addition to working on the project itself and which is in itself a wealth generator— by taking action to help improve the living conditions of the local inhabitants. Contribution to the improvement of community infrastructure: Allocation of resources for the rehabilitation of a water well that will allow 3,000 families to benefit from access to drinking water. Reforestation of community areas: Plantation of 5,000 fruit trees in collaboration with Juchiteco Ecology Forum. Supporting Education and Culture: Implementation of initiatives such as providing a computer room for 10 local schools, paying for the remodelling of schools and sponsoring an exhibition of photographs on the benefits of wind energy. The Norte Durango Power Plant began commercial operation in August 2010. The plant comprises two gas turbines and one steam turbine from Siemens for a power output of 450 MW. With this combined cycle power plant, Global Power Generation reached a significant milestone in the Mexican energy sector by raising its electricity generation capacity to 2,000 MW in the country. Construction began in January 2008 and led to a major transformation in Durango as this was one of the largest projects ever undertaken in the state. Given the scale of the project, the Chávez Compression Station was expanded to supply gas at the pressure required by the installations. Over 1,200 direct and indirect jobs were created during the construction and commissioning stage. The plant has an Integrated Management System and certification in terms of Quality (ISO 9001), the Environment (ISO 14001) and Safety (OSHAS 18001). In terms of the environment, it also has the Clean Industry Certification granted by Mexico’s Federal Attorney for Environmental Protection (PROFEPA) and is working towards the Safe Industry Certification granted by the Secretariat of Employment and Social Welfare. The Naco Nogales Power Plant entered commercial operation in October 2003. A Siemens plant with a power output of 300 MW (1G TG + 1G TV). A waste water treatment plant capable of producing 450 m3/h from the waters taken from the city of Agua Prieta. It obtained Environmental Quality Certification in 2001 and Safe Industry Certification in 2008 from the Secretariat of Employment and Social Welfare. It has also received the Clean Industry Certification granted by Mexico’s Federal Attorney for Environmental Protection (PROFEPA). The Tuxpan Power Plant entered commercial operation on 23 May 2003 and is the group’s power plant with the largest installed power capacity outside of Spain and one of the largest in Mexico. During the performance tests before entering commercial operation, it achieved a power output of 1,007 MW. It comprises two blocks of similar characteristics. Each block has two Mitsubishi 501F gas turbines, two heat recovery boilers and one steam turbine. Each block produces a power output of approximately 500 MW. Water is taken from the Gulf of Mexico for cooling and consumption, which is treated by a water treatment plant with strict controls on discharge temperature and metal content in order to protect the ecosystem surrounding the power plant. It obtained Environmental and Quality Certification in 2008 and the Safe Industry Certification granted by the Secretariat of Employment and Social Welfare. It has also received the Clean Industry Certification granted by Mexico’s Federal Attorney for Environmental Protection (PROFEPA). It subsequently obtained Integrated Certification. Grupo México, a mining company with the world’s largest copper reserves and lowest copper production costs decided to construct a 500 MW combined cycled plant in Nacozari (Mexico) to ensure the supply and reduced costs of electricity for its operations in the state of Sonora. The EPC was awarded to Siemens. Grupo México issued an invitation to tender for the facility’s operations and maintenance, in which six internationally top-level companies took part. Operations and Maintenance Energy (O&M Energy) was selected due to its experience in the operation of combined cycle plants and its knowledge of the country. Thanks to the experience acquired by Naturgy, O&M Energy provides an owner’s vision as an added value and supports Grupo México beyond the running of the facilities. The La Caridad Combined Cycle Power Plant is the first third-party facility to be monitored by CESOM, Naturgy’s Operations and Maintenance Supervision Centre, from where all the group’s plants are monitored, taking advantage of the experience acquired in each of these to optimise the management of third-party plants, by comparing results and transferring knowledge. La Central de Ciclo Combinado La Caridad es la primera instalación de terceros monitorizada por el CESOM, el Centro de Supervisión de Operación y Mantenimiento de Naturgy, desde el que se monitorizan todas las plantas del Grupo, aprovechando la experiencia adquirida en cada una de ellas para optimizar la gestión de las demás, comparando resultados y transfiriendo el conocimiento. The Hermosillo Power Plant was the first combined cycle power plant built by the Naturgy Group in Mexico. It entered commercial operation in October 2001. 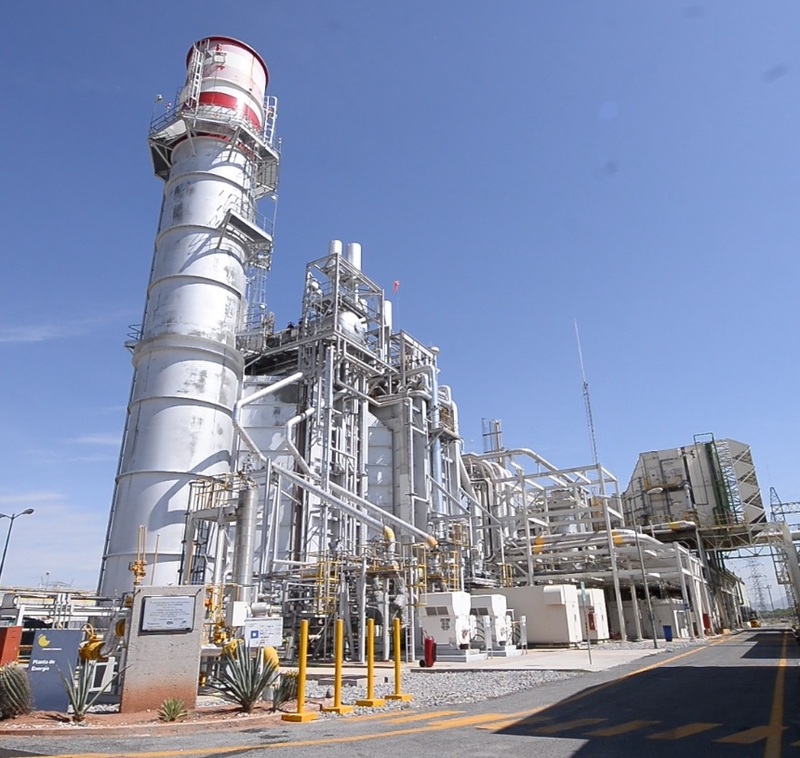 Hermosillo is an Alstom 1G + TG + TV single shaft power plant with a power output of 263.5 MW. It has been awarded the Environmental and Quality Management System Certification according to ISO Standards 14001:2004 and 9001:2000; as well as the Clean Industry recognition granted by Mexico’s Federal Attorney for Environmental Protection (PROFEPA).